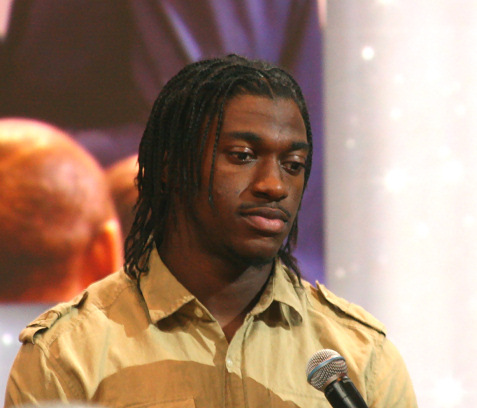 Things keep deteriorating for Robert Griffin III in Washington. He was hurt again against the Lions, and now the debate begins as everyone tries to assign blame. Given the offensive play of the Washington offensive line, some are naturally making the argument that Jay Gruden should have sat RGIII earlier in the preseason game. 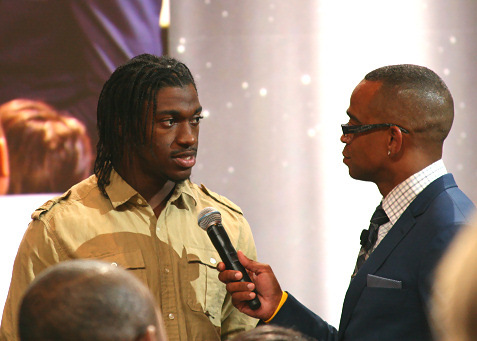 Several years ago I attended the Gatorade High School Athlete of the Year Awards and RGIII was there as one of the presenters. He was riding high as a high draft pick after the Redskins had mortgaged their future by trading a boatload of draft picks. Meanwhile, as a Browns fan, I had to hear about how the Browns blew it by not offering even more for the right to draft him. Several years later things have changed quite a bit. The Redskins are a mess and RGIII has been benched by Jay Gruden. Meanwhile, Kyle Shanahan is the offensive coordinator for the Browns who are 7-4 with Brian Hoyer as the starter. I guess we shouldn’t be surprised, as Jim Harbaugh wants to keep any advantage he has with Colin Kaepernick playing quarterback. But, Harbaugh is also a baby who loves to whine when he doesn’t get his way. He’s a great coach, but he cries with the best of them. Bill Barnwell takes a look at the big four rookie quarterbacks from 2012 and tries to project out to 2013 and beyond. He offers up some interesting statistics and comparisons that contribute to any conversation about the future prospects of Andrew Luck, Robert Griffin III, Russell Wilson and Colin Kaepernick. Yet while he addresses how Andrew Luck had little to work with in Indy, he then brushes that off when deciding which of the group has the biggest upside. Like many NFL writers he obsesses too much about the stats and spends less time discussing what he actually sees on the field. Andrew Luck was the single factor that drove the Colts. Plus, he did it as a classic drop back passer. Sure, he’s big and strong and he can scramble, but he didn’t rely on the trickery of the read-option to open up the passing game. RG3 showed tremendous passing ability, but he’s the best runner at the quarterback position since Michael Vick, and the Shanahans milked that for all it was worth until the “geniuses” outsmarted themselves and almost destroyed Griffin’s career. Griffin is a rare talent with a golden arm, but now he’ll probably need to rely more on that arm without the same threat posed by his legs. His numbers from last year mean much less in that context. Kaepernick and Wilson also benefited from the threat posed by their running ability, but both of them had the luxury of playing for teams that were loaded with talent. Both teams had excellent defenses and two of the best running games in football. Alex Smith looked like a pro-bowler in the same 49ers offense before Kaepernick took over. So it’s hardly fair to compare their stats to Luck’s stats without taking that into account. Wilson definitely showed me a lot last year, but he’s also playing a dangerous game when he runs out of the pocket. At least Pete Carroll isn’t as reckless as Mike Shanahan, but I’m still not completely sold on Wilson being an elite quarterback. That said, he gets another weapon this year with Percy Harvin, but I suspect NFL defenses will adjust to his game. I’ll take Andrew Luck over all of them, any day of the week.